TransBar 4 MSI allows the creation of barcodes for medicines to be distributed in Belgium according to APB standard, initials of "Association Pharmaceutique Belge" or "Algemene Pharmaceutische Bond", also known as CNK "Code National(e) Kode". TransBar 4 MSI responds to all the other uses of this ancient symbology, including document management, even though Code 39, which is safer and more efficient is often preferred. 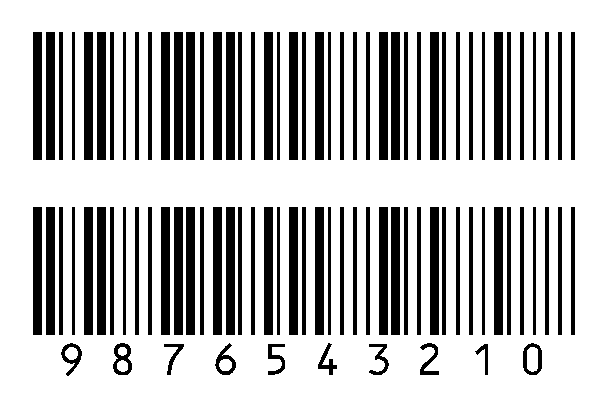 The MSI barcodes can store informations of any length, composed exclusively of digits. Finally, a database can print a field as a barcode by asking in the print model that this field be preceded and followed by the start and stop characters, as it would be required to be preceded by a $ or followed by a € if it was a financial amount. 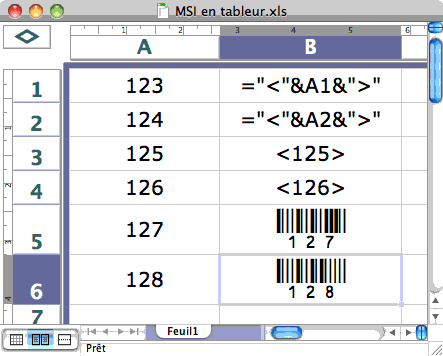 TransBar allows, when desired, to add a control character "modulo 10", the calculation formula most frequently encountered but not standardized. When an automatic legend is requested, this control character is captioned. with any software that supports text writing, copy and paste, text importation or CSV files, and offering the choice of the font and the font size for non-scalable printing ; a print where 72 DTP points (pica) are 25.4 mm in accordance with the current standard of DTP and professional printers. Any printers with a resolution of 300, 600, 900, 1200, 1800, 2400 dots per inch. or generate micro-defects likely to decrease the durability or, worst case, the readability of the barcodes.